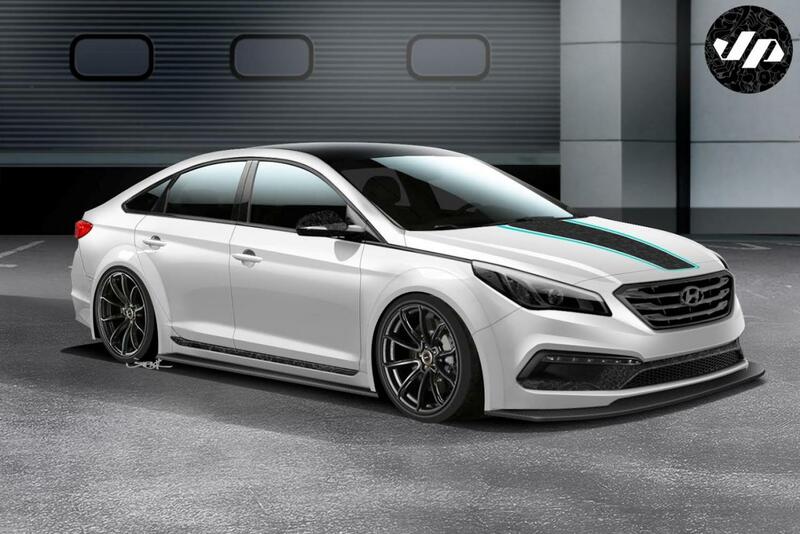 The Hyundai JP Edition Sonata is John Pangilinan’s latest creation for this year’s edition of SEMA, an event which will open its gates early next month in Las Vegas. The Korean model gets a series of styling tweaks such as new 19-inch RAYS alloy wheels with Toyo tires, revised front and rear bumpers from LTMW, new side skirts, front grille and side mirrors. There are also new LED headlights, a black roof and a retuned suspension with sport springs. Under the hood, the Hyundai JP Edition Sonata gets some modifications like the Bisimoto hot charge pipe, new AEM cold air intake and a MagnaFlow exhaust system. Interior features include new Recaro Cross Sportster seats, Katzkin leather upholstery and a premium sound system from Alpine. More photos and details will be released by Hyundai at the 2014 SEMA Show.